University of Illinois Press, 9780252078811, 200pp. 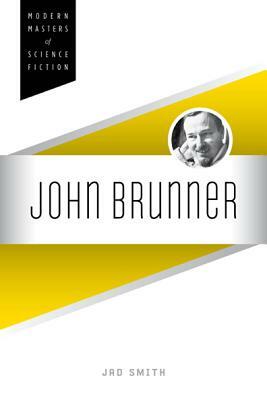 In this first intensive review of Brunner's life and works, Jad Smith carefully demonstrates how Brunner's much-neglected early fiction laid the foundation for his classic Stand on Zanzibar and other major works such as The Jagged Orbit, The Sheep Look Up, and The Shockwave Rider. Making extensive use of Brunner's letters, columns, speeches, and interviews published in fanzines, Smith approaches Brunner in the context of markets and trends that affected many writers of the time, including Brunner's uneasy association with the "New Wave" of science fiction in the 1960s and '70s. This landmark study shows how Brunner's attempts to cross-fertilize the American pulp tradition with British scientific romance complicated the distinctions between genre and mainstream fiction and between hard and soft science fiction and helped carve out space for emerging modes such as cyberpunk, slipstream, and biopunk. Jad Smith is an associate professor of English at Eastern Illinois University.